At KP Intersessional, WDC Says It Continues To Stand Committed To Positive Change .During its participation at the 2018 KP Intersessional Meeting, the World Diamond Council restated its commitment to the ongoing positive change through reform. The Meeting, which began in Antwerp on June 18th, will conclude on June 22, 2018. KP members meet at the annual Intersessional meetings to discuss technical aspects of the various working groups of the Kimberley Process. Currently members of the WDC serve on a range of KP working groups including Monitoring, CAR Monitoring Team, Statistics, Rules and Procedures, Participation and Chairmanship, Alluvial and Artisanal Production and Diamond Experts. Stephane Fischler, Acting President of the WDC will speak on KP review and reform towards conflict diamonds, KPCS minimum standards, and long-term implementation of KPCS directives via a Permanent Secretariat. He is also expected to appeal to alluvial diamond producing countries to welcome opportunities for progress and improving lives in their own communities made possible with the KP. WDC encourages KP reform and undertakes efforts to support and promotes positive changes from within. Its WDC System of Warranties (SoW) entered a public review period this month, after an industry review was undertaken. The WDC SoW helps promote assurances of the Kimberley Process Certification Scheme (KPCS), by requiring diamond suppliers and diamond jewelry manufacturers to pass on a conflict free warranty statement each time diamond goods (rough or polished) change hands. Also, SoW statement users must ensure that trading activities adhere to universally accepted principles on human and labor rights, anticorruption and anti-money laundering in support of the obligatory implementation. 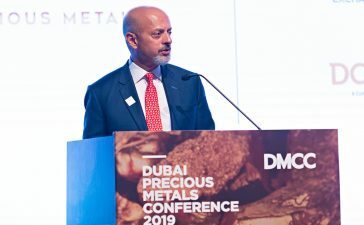 The WDC is also actively involved in encouraging reform by holding direct meetings with organizations and governments that can help bring about change in areas where conflict diamond issues are severe.